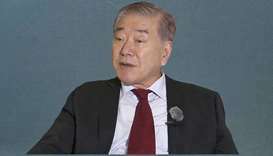 The United States should seek the gradual denuclearisation of North Korea because an "all-or-nothing" strategy will not help break an impasse in talks, a special adviser to South Korea's president said on Tuesday. 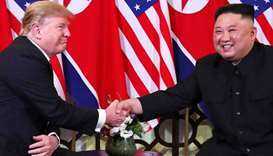 North Korean leader Kim Jong Un and Donald Trump met in Hanoi on Wednesday for their second summit, with the US president rejecting any suggestion he was walking back on US demands for North Korea's denuclearisation. 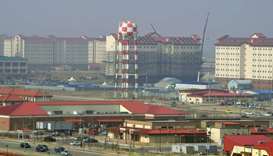 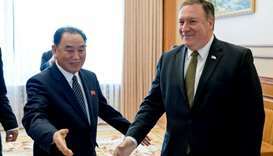 Sales at Kim Chang-bae's hardware shop in South Korea rise every year thanks to Camp Humphreys, an enormous US military base he is frightened will close in the wake of the summit between Kim Jong Un and Donald Trump. 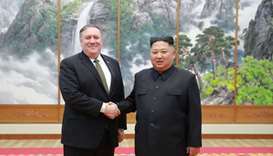 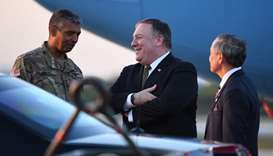 US Secretary of State Mike Pompeo headed to Pyongyang Sunday for new crunch talks with Kim Jong Un on denuclearisation and a second US-North Korean summit. 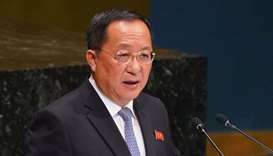 North Korea's Foreign Minister Ri Yong-ho said Saturday that his country won't dismantle its nuclear weapons program first without seeing corresponding measures from the United States. 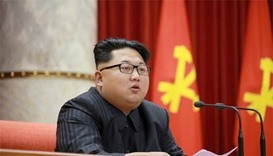 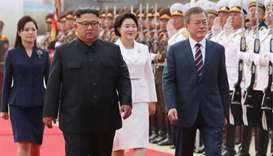 The North Korean leader on Wednesday agreed to shutter the Tongchang-ri missile-testing site in the presence of international observers. 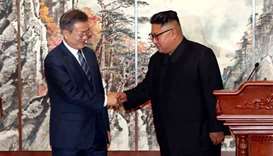 Kim Jong Un and Moon Jae-in said they agreed to turn the Korean peninsula into a "land of peace without nuclear weapons and nuclear threats".